Rent a 25-passenger minibus to quickly and efficiently transport your group to all of New York’s must-see stops. This model is perfect for medium-sized groups who want to travel the city together without worrying about splitting up into cars. Offering plenty of luxury amenities, you’ll always ride in comfort with a minibus. 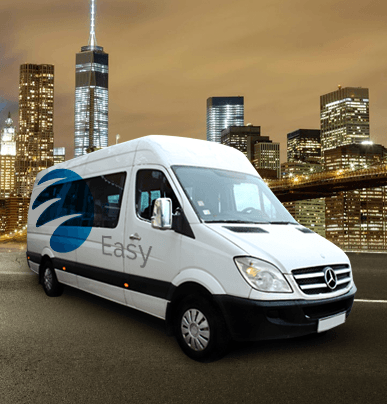 Contact Easy Charter Bus for the easiest bus rental experience! We’ll help you set up seamless transportation to field trips, business trips, wedding events, sporting events, and more. Give us a call today at 718-502-9983! The 20-passenger minibus is the perfect solution for medium-sized groups that need to get somewhere quickly and safely. Its compact design is offset by steel-cage construction and dual rear-wheels, which maximize protection for passengers. Easy Charter Bus knows how important your safety is, so we put that first. This 18-passenger minibus model is excellent for short-distance trips. Shuttle guests to and from conferences, bring guests safely to your wedding venue, or transport senior citizens to a group activity. Your passengers will have plenty of room for an intimate ride across town in their clean, modern minibus. 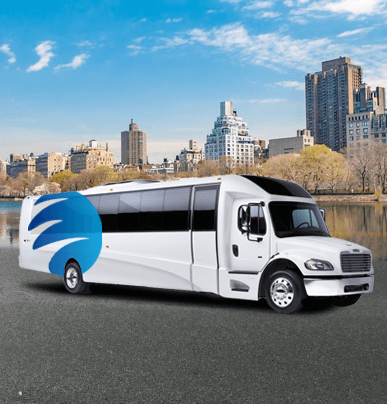 The 25-passenger minibus makes it easy to transport medium-sized groups into, out of, and around New York with ease. 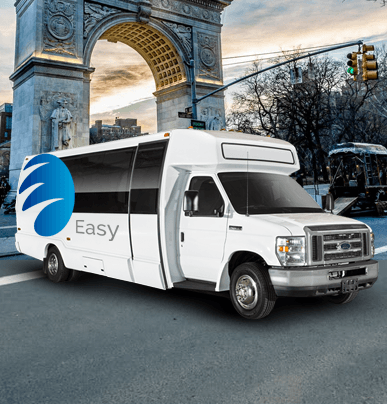 Book this compact coach to avoid public transportation and crowds during your NYC trip! Larger groups can stay together and organized with a 56-passenger charter bus. Instead of splitting up, your entire group can ride together in the most spacious, comfortable transportation option available. 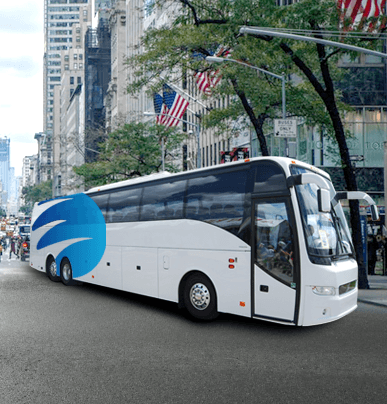 56-passenger charter buses are the best option to enjoy long distance trips.